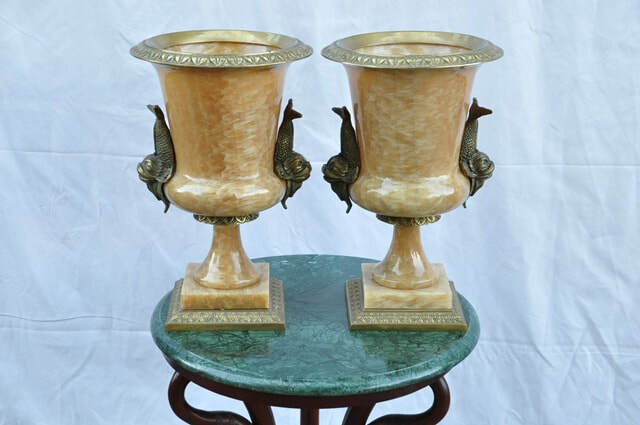 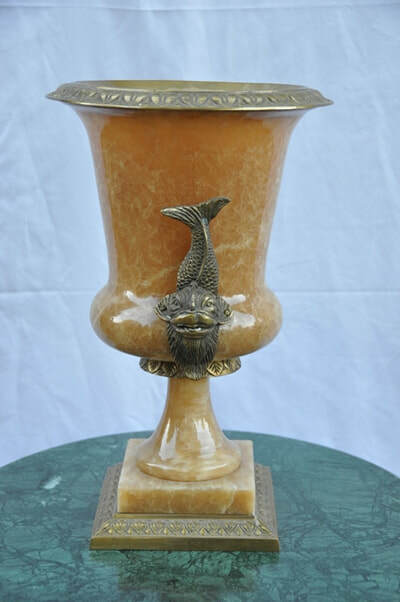 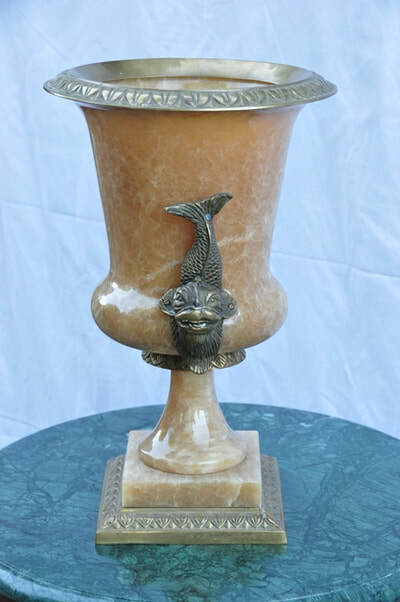 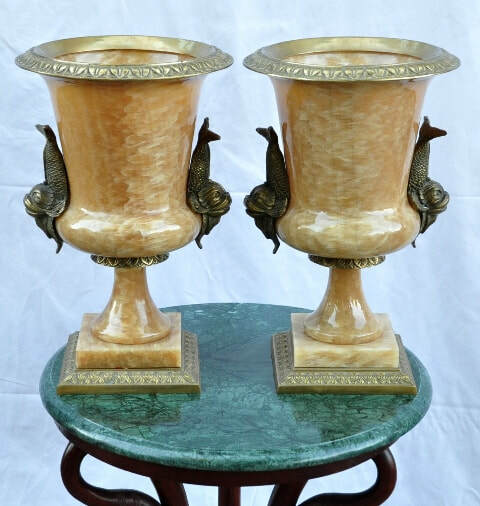 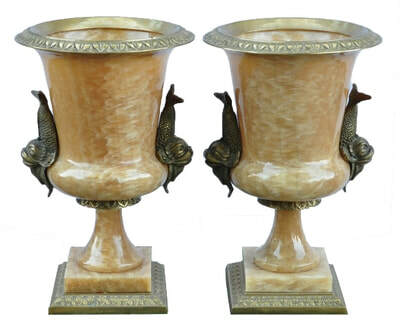 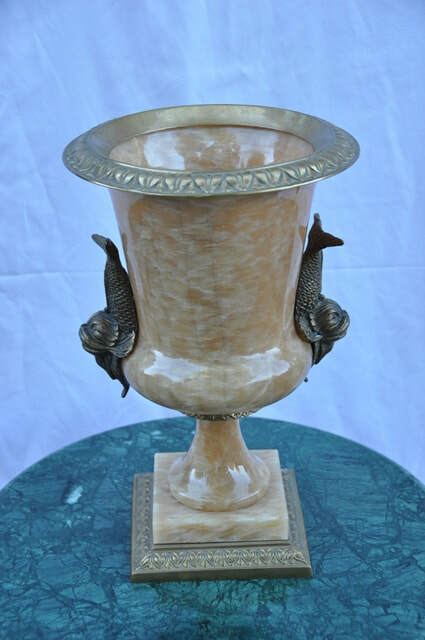 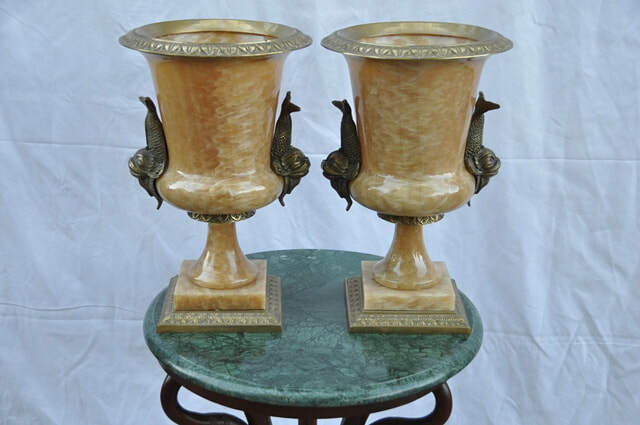 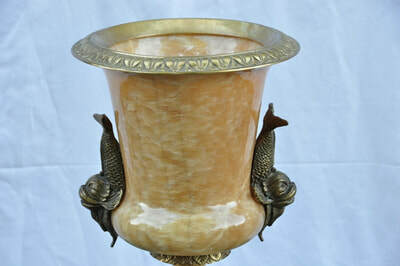 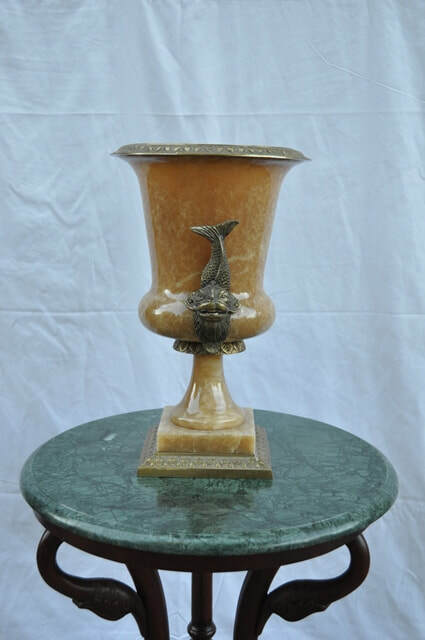 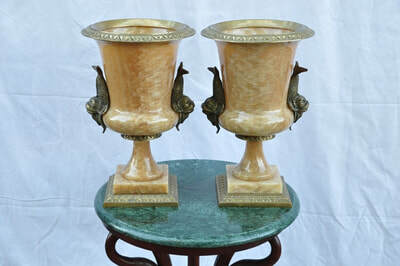 These are 2 campana shaped large urns carved out of alabaster stone. 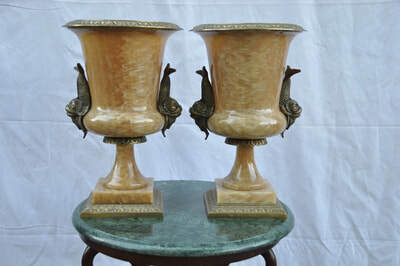 It is of French or Italian design. 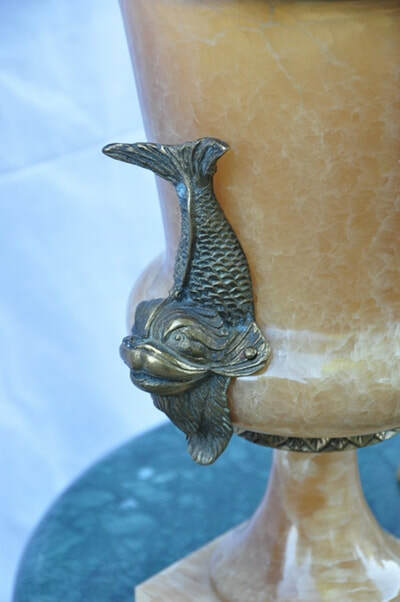 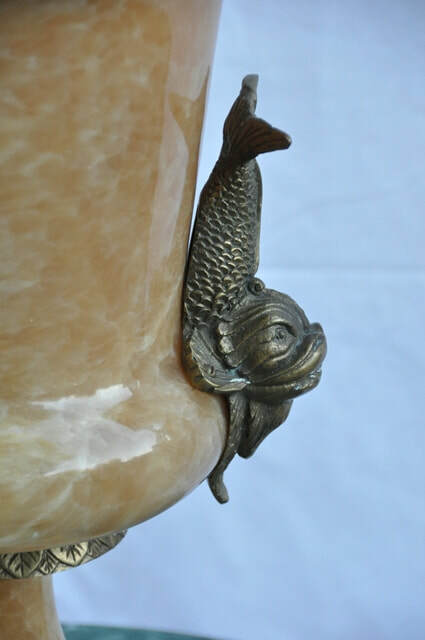 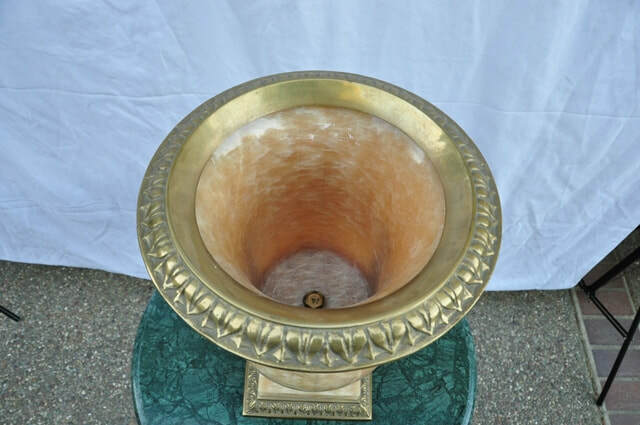 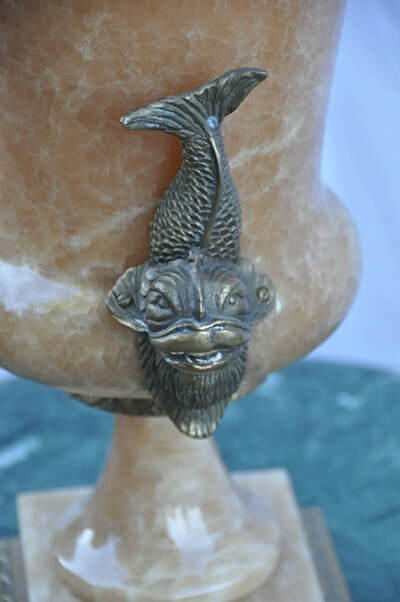 There are various brass mounts including 2 handles in the shape of dolphins. 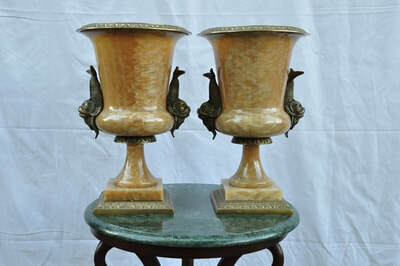 They are 18" tall, the top is 11" wide and weight about 30 lb each. 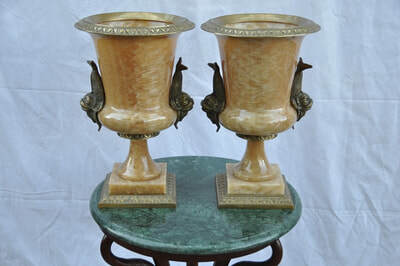 The square bases are 7-1/2"x7-1/2". Because alabaster is semitransparent one can put a light or a candle inside it to illuminate it.